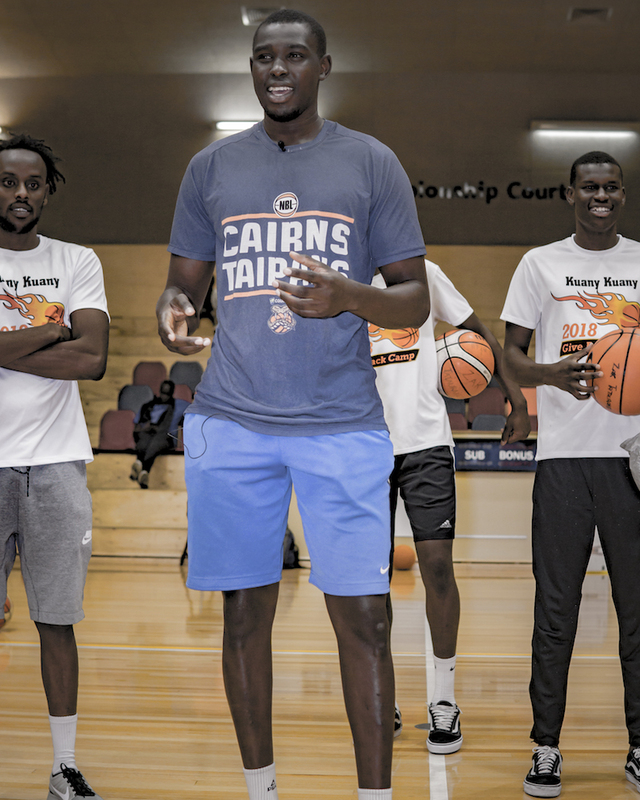 Cairns Taipans player, and Melbourne local, Kuany Kuany returned home in April during the NBL off-season to spend time with family and friends, and to also give back to his community. 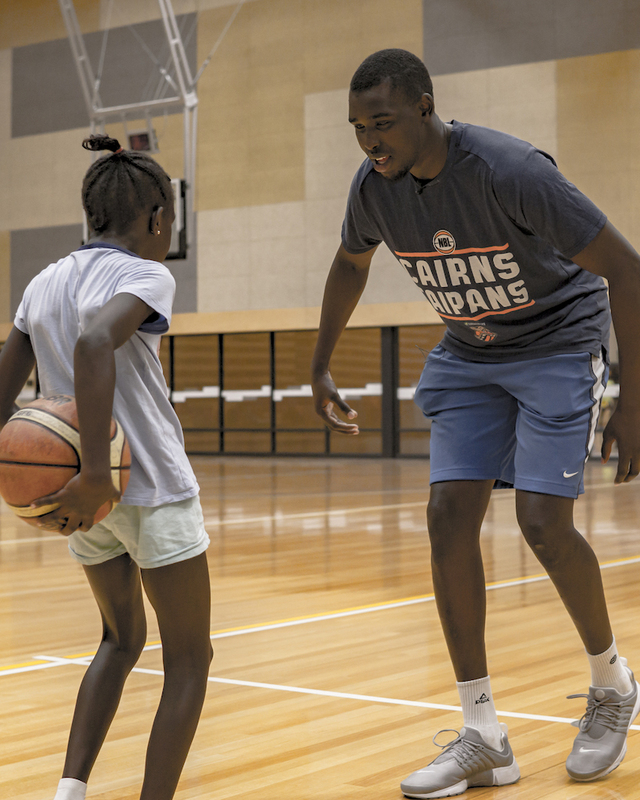 Kuany, who spent four years at Chaminade University in Hawaii before starting out on his professional career in the NBL, visited Helping Hoops Richmond to take part in the program and speak to the children about his experience and what it takes to become a professional. Kuany, being of South Sudanese background, has direct experience of the challenges faced by many participants in the program, and his words of advice hit home for the group. Kuany also held his first every “Give Back” camp the following Saturday at Eagle Stadium in Werribee for approximately 60 participants aged 12-18. Joining Kuany were many young people from the South Sudanese Australian community who embraced the chance to share their skills and knowledge with the next generation of ballers. Helping Hoops proudly supported the camp by donating court hire costs, prizes, and the services of two of our coaches. We are excited to see Kuany use his influence as a role model to inspire his community–a community that Helping Hoops has worked closely with for many years and continues to engage through our programs and initiatives. For these children, seeing heroes come from within is extremely powerful, and we applaud Kuany in his work. We look forward to looking at new ways to support Kuany in 2018 and beyond.